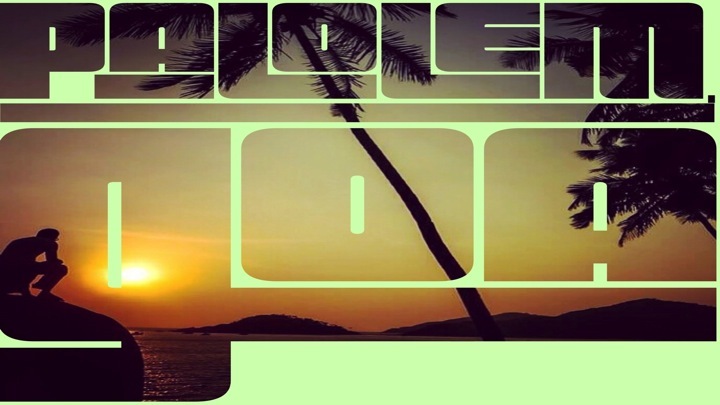 Palolem, it's Good to be back! Generally, I prefer to travel to a new place rather than simply go back to the same destinations over and again. The only exception to this so far has been Sihanoukville, which was just too much fun and so cheap to travel to when I lived in Saigon. 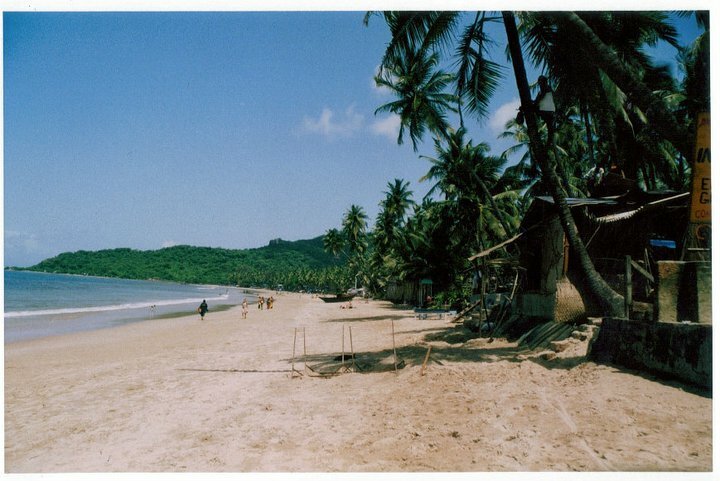 But I have just revisited Palolem beach in Goa after a 10-year gap. 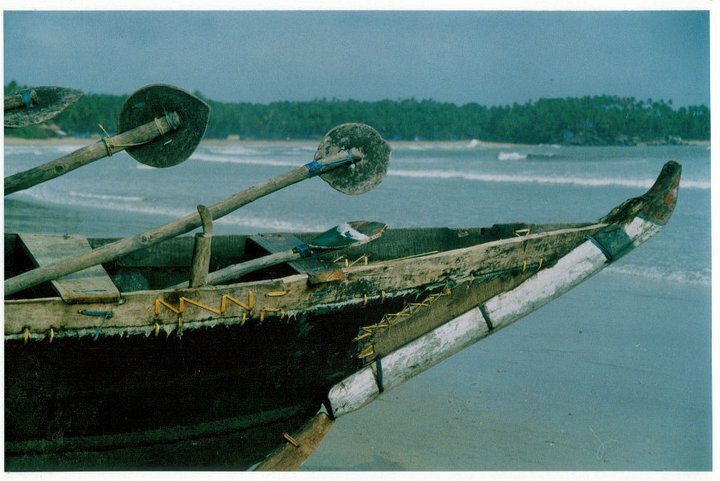 In 2005, a friend and I travelled around India for 7 weeks. We were on a tight backpacking budget and had no idea what India would throw at us. As we meandered slowly south from Delhi, news reached us of severe flooding in Mumbai—our planned destination—and we made a last minute decision to go straight to Goa instead. 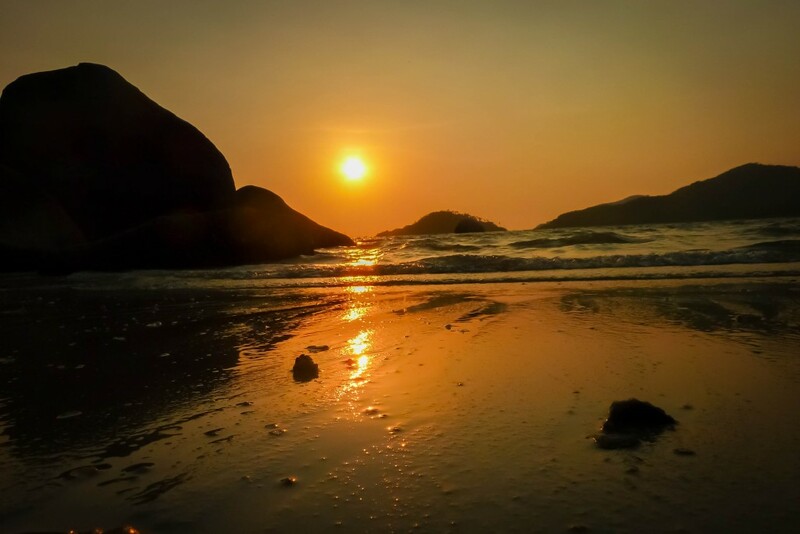 A few days later we arrived at Palolem and knew that we had made the right decision. Palolem beach, August 2005. Photo taken with a film camera. It was the tail end of the monsoon and we shared the beach with a handful of British teachers, an impossibly beautiful Israeli couple who spent their days in pursuit of ‘Charlie’, sleeping cows, and a number of stray dogs taking shelter from the rains under the palm fronds that line the shore. Creaking wooden boats rolled in with the morning tide and age-worn fisherman unloaded heaving nets of writhing fish—their scales flashing silver in the sunlight. 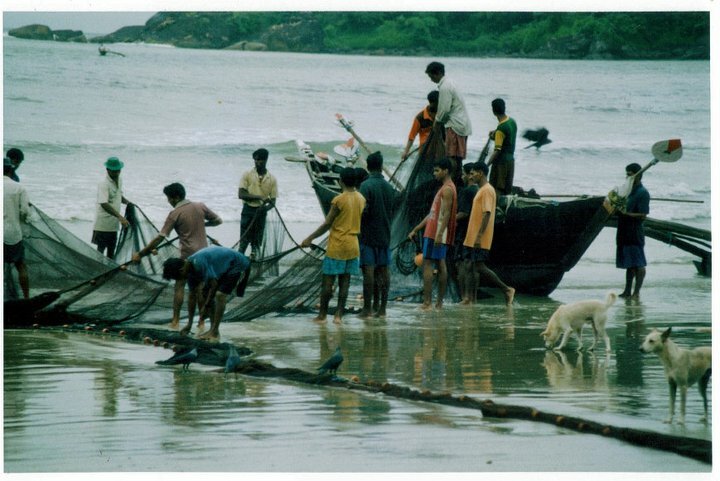 Women and children waited on the beach to sort the fish according to size into round wicker baskets—it was a family affair. Sometimes they would leave a smattering of fish behind on the sand, most likely the smallest ones that had somehow managed to slip through the net. Most of our afternoons were spent eating burgers and playing cards in the Smuggler’s Inn, or trying to catch some beach time between showers. Sweet-smelling perfume fragranced the air from an abundance of incense sticks that were placed in every available crack between the walls. We had no laptops, no mobile phones, and every couple of days we went to the camera store to get our rolls of camera film developed. It was perfect, despite the rain. 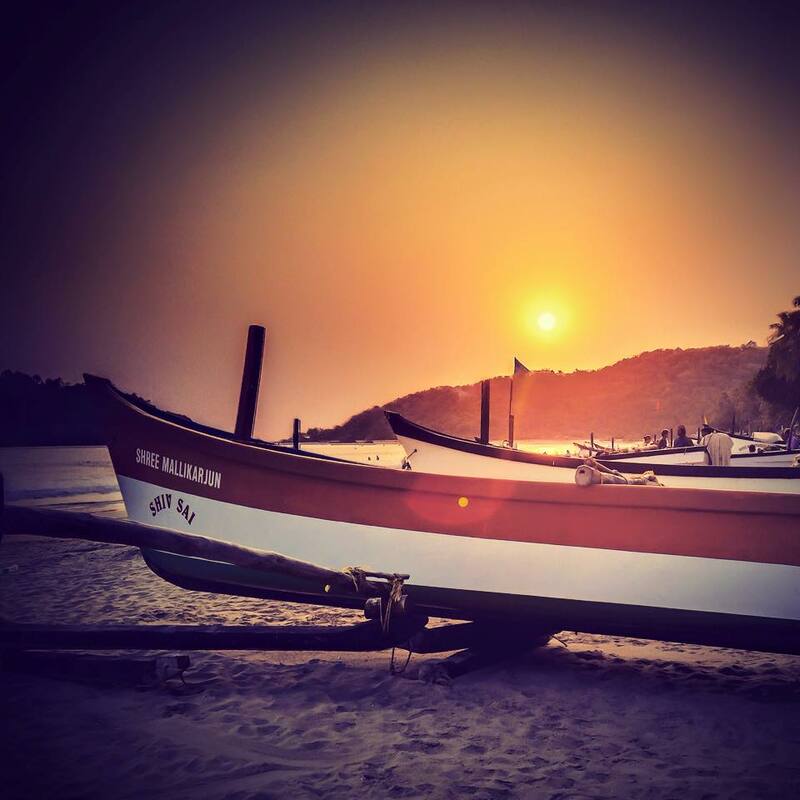 I was excited about seeing Palolem again and wondered how much difference 10 years would make. The biggest personal difference was accommodation. In 2005, we were down to our last rupees and stayed in the cheapest lodgings. Our room had a fan and no bedding—I used my sarong as a sheet. Power cuts were frequent—the nights sticky and humid. Now, in 2015 I earn a decent salary and live in India. We stayed on the beachfront and had air-conditioning. Sure, we could have paid a quarter of the price and taken a cabin without, but I much preferred getting a good night’s sleep in a cool room. 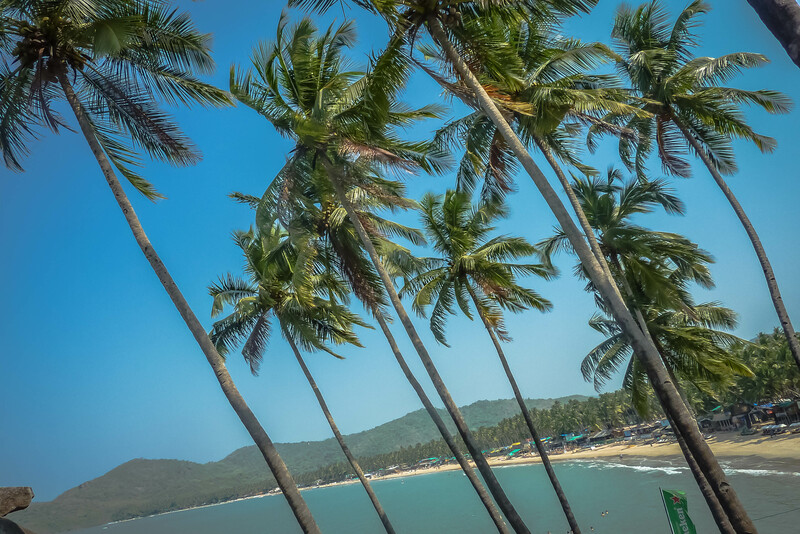 There is no doubt about it, Palolem is no longer the laid-back hippy beach that it was, but a fully-fledged package destination: a fact confirmed by the airport departures board displaying two charter flights to London and one from Moscow. 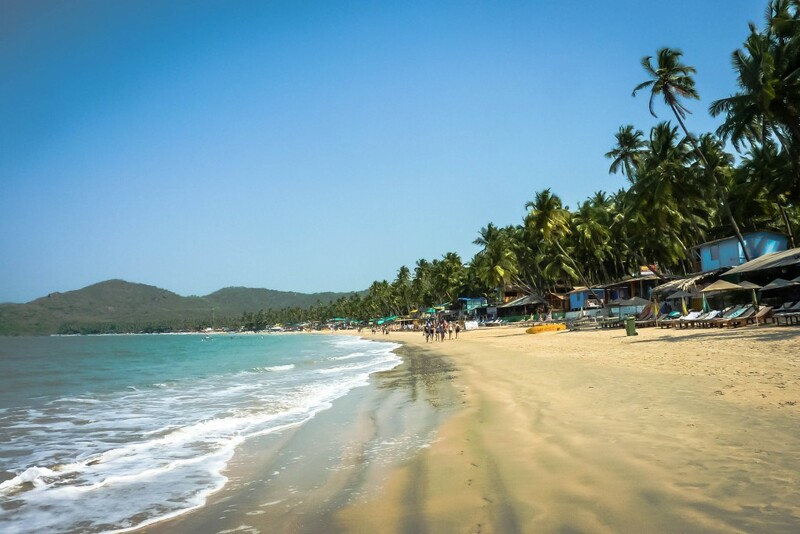 Nowadays, Palolem is a family destination—I doubt that the Israeli couple from 2005 would find what they were looking for in Palolem today. There are more huts along the beachfront in 2015 than there were in 2005. These days the gaps between the beach huts have been firmly packed by even more beach huts. The huts look sturdier than the flimsy structures that were knocked up overnight during our stay in 2005. The main road was virtually unrecognisable, and I struggled to locate where my favourite restaurants in 2005 had been, so crammed full of stores and travel agencies is the street now. Alas, Smuggler’s Inn disappeared a number of years ago, and there seemed to be no replacement for an unhealthy fix of bacon and beef burgers (both of which are impossible to find in Mumbai). The rickety fishing boats that rested along the north end of the beach in 2005 seem to have been replaced by a fleet of new, freshly-painted boats whose prime purpose seems to be taking tourists out to see dolphins. Maybe these appeared during High Season, but we saw nothing of them. In fact, I don’t recall any tours being touted at all. One thing that hasn’t changed is the blissful feeling of strolling through warm water and listening to the crash of the waves. Another thing that will always remain the same is the beautiful view from the southern end of the beach. A great spot for reflection. 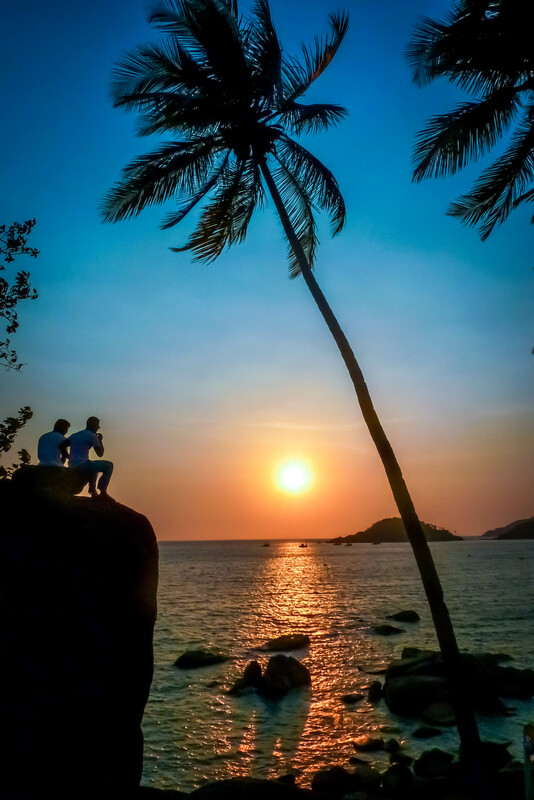 Those things I will always love about Palolem. Have you ever revisited a place that you loved? How did it work out? Please leave a comment below.